Admixtures are added to concrete batch immediately before or during mixing concrete. Concrete admixtures can improve concrete quality, manageability, acceleration, or retardation of setting time, among other properties that could be altered to get specific results. Many, not to say all, concrete mixes today contain one or more concrete admixtures that will help your pouring process driving down cost while increasing productivity, The cost of these admixtures will vary depending on the quantity and type of admixture being used. All of this will be added to the cubic yard/meter cost of concrete. Set retarding concrete admixtures are used to delay the chemical reaction that takes place when the concrete starts the setting process. These types of concrete admixtures are commonly used to reduce the effect of high temperatures that could produce a faster initial setting of concrete. 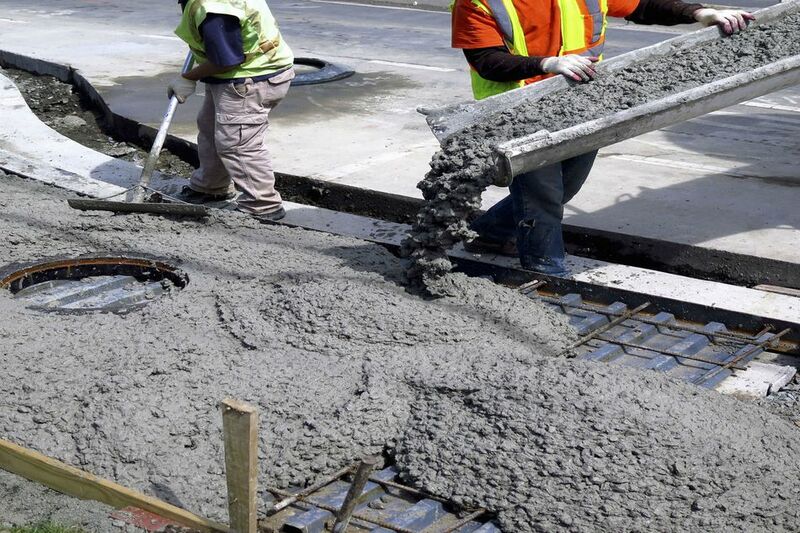 Set retarding admixtures are used in concrete pavement construction, allowing more time for finishing ​concrete pavements, reducing additional costs to place a new concrete batch plant on the job site and helps eliminate cold joints in concrete. Retarders can also be used to resist cracking due to form deflection that can occur when horizontal slabs are placed in sections. Most retarders also function as water reducers and may entrain some air in concrete. The entrained air bubbles act as a physical buffer against the cracking caused by the stresses due to water volume augmentation in freezing temperatures. Air entrainers admixtures are compatible with almost all the concrete admixtures. Typically for every one percent of entrained air, compressive strength will be reduced by about five percent. Water-reducing admixtures are chemical products that when added to concrete can create a desired slump at a lower water-cement ratio than what it is normally designed. Water-reducing admixtures are used to obtain specific concrete strength using lower cement content. ​Lower cement contents result in lower CO2 emissions and energy usage per volume of concrete produced. With this type of admixture, concrete properties are improved and help place concrete under difficult conditions. Water reducers have been used primarily in bridge decks, low-slump concrete overlays, and patching concrete. Recent advancements in admixture technology have led to the development of mid-range water reducers. Accelerating concrete admixtures are used to increase the rate of concrete strength development or to reduce concrete setting time. Calcium chloride could be named as the most common accelerator component; however, it could promote corrosion activity of steel reinforcement. Nonetheless, concrete best practices, such as proper consolidation, adequate cover and proper concrete mix design could prevent these corrosion issues. Accelerating admixtures are especially useful for modifying the properties of concrete in cold weather. Shrinkage-reducing concrete admixtures are added to concrete during initial mixing. This type of admixture could reduce early and long-term drying shrinkage. Shrinkage reducing admixtures can be used in situations where shrinkage cracking could lead to durability problems or where large numbers of shrinkage joints are undesirable for economic or technical reasons. Shrinkage reducing admixtures can, in some cases, reduce strength development both at early and later ages. The main purpose of using superplasticizers is to produce flowing concrete with a high slump in the range of seven to nine inches to be used in heavily reinforced structures and in placements where adequate consolidation by vibration cannot be readily achieved. The other major application is the production of ​high-strength concrete at w/c's ranging from 0.3 to 0.4. It has been found that for most types of cement, superplasticizer improves the workability of concrete. One problem associated with using a high range water reducer in concrete is slump loss. High workability concrete containing superplasticizer can be made with a high freeze-thaw resistance, but air content must be increased relative to concrete without superplasticizer. Corrosion-inhibiting admixtures fall into the specialty admixture category and are used to slow corrosion of reinforcing steel in concrete. Corrosion inhibitors can significantly reduce maintenance costs of reinforced concrete structures throughout a typical service life of 30 – 40 years. Other specialty admixtures include shrinkage-reducing admixtures and alkali-silica reactivity inhibitors. Corrosion-inhibiting admixtures have little effect on strength at later ages but may accelerate early strength development. Calcium nitrite based corrosion inhibitors do accelerate the setting times of concretes over a range of curing temperatures unless they are formulated with a set retarder to offset the accelerating effect.